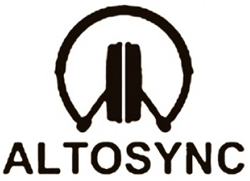 All my energy’s going into the music now, as I’ve been picked up by dubstep and d&b label Altosync – you can check their facebook group here. The plan is to release an EP pretty soon, which is really exciting; for the first release they’ve picked my d&b tune, Interference, alongside my first dubstep joint, Platinum. Watch this space for more info on that! I’ve just finished my gruelling remake of ‘Exile’ for Lady Destiny – When my studio was robbed, I lost all the master files for that tune, so it meant I couldn’t release it, as it needed a bit of a mixdown to accomodate Ms Destiny’s vocals; it’s been really hard trying to recreate it from scratch with a completely different Sequencer, set of plugins, hell even a different operating system, and without my beloved sample collection, and it’s taken me ages, with millions of versions, and frankly quite a hard psychological battle (“I shouldn’t have to be doing this again, I’ve done it already!”) to get it right… but I’m really pleased with the final result. I sent the draft mix over, and the reply came back that she loved it, and that coincidentally Benga had sent in his tune for the EP on the same day, which is wierd timing, considering how long it’s taken me to get the track together! It’s going to be a cool release I think, with my production rolling alongside tunes from Benga, Distance, and Bugz in the Attic – three top notch and influential producers. So, my neighbourhood’s vibrating to a new kind of bass; I’ve just finished a remix of Broadcaster’s take on an old Peggy Seeger tune, called Bad Bad Girl, for Red Grape Records. It was quite interesting, taking these old blues vocals from the 1960’s, having been whipped up into a contemporary format by Broadcaster – I ended up stripping his tune right back to the vocals again before layering on my own personal vibe. I’m really pleased with the end result, and so is the label; spacious-bass-heavy Dubstep, melodic but hard. Can’t wait to set it loose.